We could not be more grateful to everyone for your continued support of our shop over the past 2 1/2 years. So much time has gone by and we’ve had the opportunity to meet so many great clients, a lot that come to our shop based on referrals. That is one of our best ways of advertising is your support, and recommendations to others. It is always the best compliment to hear that other people have nice things to say about the shop. Through Yelp! and Twitter, and other social media we’ve seen the direct benefit from your reviews. Again we can not thank you all enough. Last year we were the winner of Creative Loafing’s Best of ATL 2010 award for critics pick “Best Tattoo Studio” We felt like part of the community and only after a year of being open what an honor. 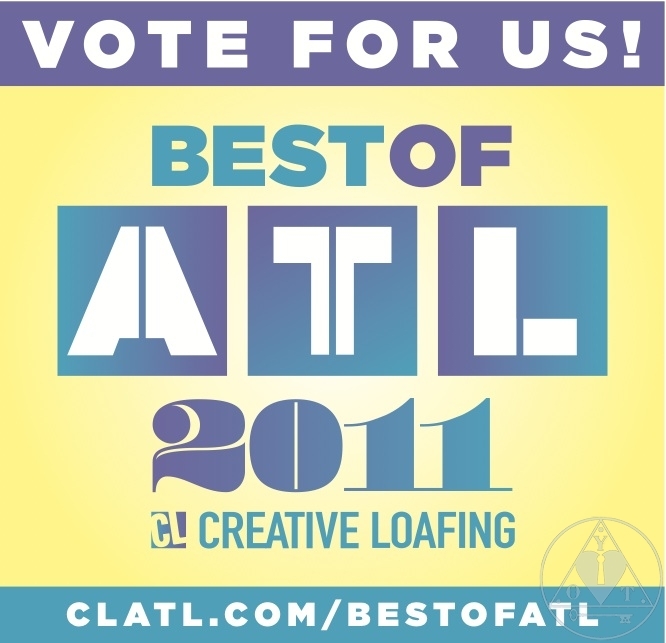 The time has come again to vote in the Best of ATL 2011, where your vote matters and counts not just for us (if you want to vote for us) but other local small business in Atlanta. Acknowledgement like this to a small business can completely change your cliental, and reputation in a city. We want to let you know about the voting so you can vote for all your favorite Atlanta restaurants, artists, shops, and pretty much anything else you enjoy here. We get a lot of support from the community and the shop will be voting for the places we love and continue to help us out as well. You need to vote for at least 5 business (it’s easy there are so many) to have your vote count. Please spread the word and vote before Sunday July 31st when the voting ends. The tattoo voting is the last page section 5. Check out the survey here at Creative Loafing’s site. My good friends Tony and Jill had a baby boy almost 2 years ago now. This little hat was Milo’s first and Jill had wanted to get a little something for her little boy that was getting bigger each day, out growing all the cute little things he had as a baby. 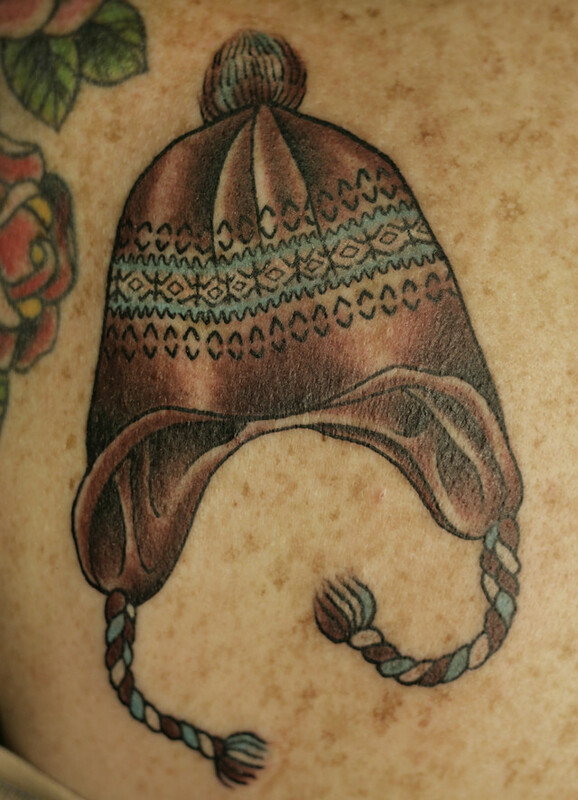 I loved doing this tattoo, I was not sure how I would be able to do a knitted hat as a tattoo design without it looking to crazy, but I love the way it came out. 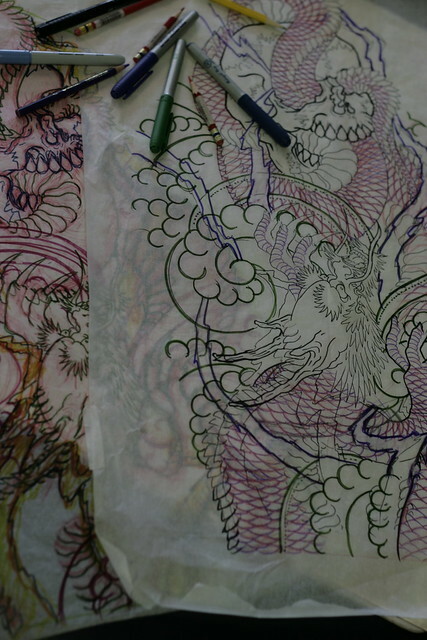 It’s just a little tattoo but it’s always fun to do a little traditional piece with good meaning for someone. I might also be so emo about it because they are good friends, and with expecting a baby myself before the end of the year it’s exciting to think about how much our lives are changed and moved by a new little person.